Film Reviews, News, Casting Updates and Analysis: The Silver Screening Room: I'm a Dreamer, Aren't We All? I had the weirdest dream the other night. We were at a film school to-do held at someone's house, and I was hanging out on the front porch with some classmates, Meryl Streep, and Jessica Lange. La Streep was in her Julia Child costume, while Lange was played by Harriet Walter. In this alternate universe, Lange had just won the EMMY, making her a member of the triple-crowners. She and Meryl were both honored with such a title, and I asked them how it felt. Lange rolled her eyes, and Streep sighed. "It really is meaningless. I hate that whole idea. The Oscar movie. I never want to do an Oscar movie. So many people just write Oscar scenes, and all I want is a good story. That's the only way to succeed." Thanks Meryl! 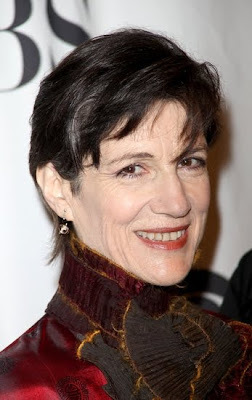 And thanks to Lange/Harriet Walter for sticking around.